We ended the day in Annapolis, Md., my hometown. 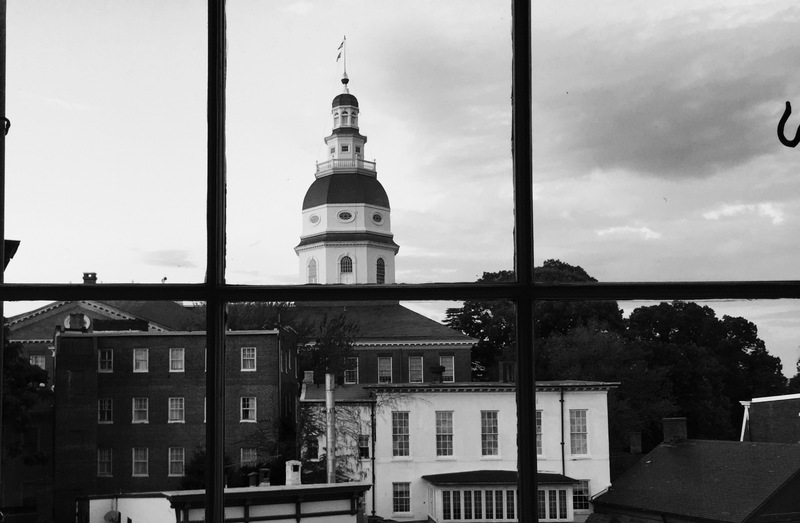 The view of the state capitol is from our hotel room in the Maryland Inn. The inn was build in 1690. The capitol is the oldest state house in continuous use in the United States. It was for a short time the U.S. Capitol. George Washington resigned his commission as commanding general of the Continent Army at the close of the Revolutionary War here. It is tempting say that between Washington and Annapolis, it was a capitol day.